You’ve been collecting conversion data and now you want to use it. This guide will show you where to find it and how to display your data. Head over to your Pinterest ads dashboard at ads.pinterest.com. You’ll see a couple types of campaigns. Click the “View all” button next to the type of campaign that you want to analyze. Now we’re ready to look at your stats. Look at the table that Pinterest spits out and scroll horizontally to the right. To see more conversion stats, just click the ➕ button next to the column label. In the picture below, you can see this button next to the bolded “Checkout conversions” label. That’s it! 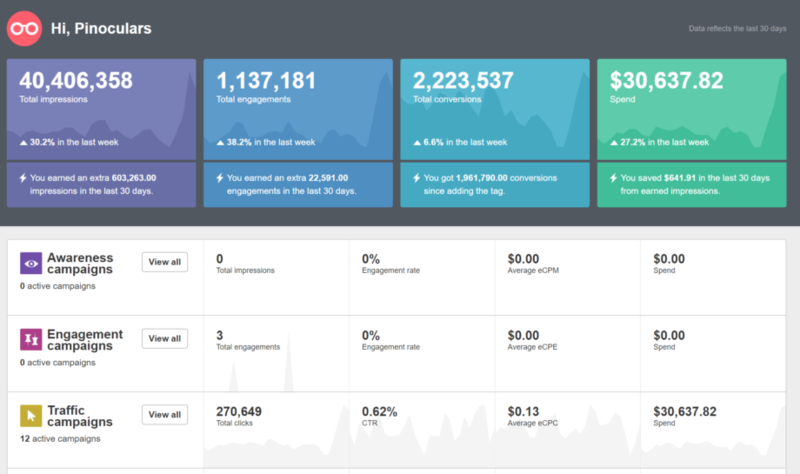 You can now see all of your conversion statistics. On a side note, Pinterest can take anywhere from a couple minutes to several hours to update these stats so check back if you’re not seeing the stats you expect.